Shiksha Abhiyan | How to Score High in Mathematics? Mathematics is a subject that can be a nightmare for some students whereas a piece of cake for others, mainly because you either get it completely right or entirely wrong. It’s not like other subjects wherein there can be a maybe. And because of the same reason, it is definitely possible to score 100/100 marks in Maths. For all those nervous about clearing the Mathematics paper, here's a list of tips and tricks shared by Mr. Mohd Shoeb, Faculty for Mathematics at www.shikshaabhiyan.com, which will help you sail through the exam easily. Note making: Make a separate notebook for all formulae, methodologies and theorems chapter wise and brush them up at least once a day. Solve Problems yourself: The only key to get good score is to solve different types of problems. Knowing theories and concept is necessary but to learn their application is most important part. During examination, you don`t need to solve each and every question but solve only those questions where you have doubts. Understand your syllabus: Understanding your syllabus and the weightage attached to different sections helps you in deciding how much time to spend on each section. Sample Papers: Sample papers are an excellent way to mentally prepare yourself for what you are going to face in the exams. 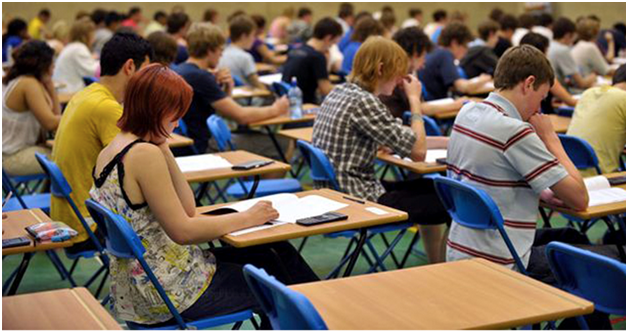 The more sample papers you solve, more confident you become of achieving the highest score. At ShikshaAbhiyan, we have online depository of solved sample papers in interactive video format accessible both through our website and android app. Address your problem areas: There may be times when you are solving a sample paper and come across some problems which you are not able to solve. While it is convenient to keep them aside to clear later, but don`t accumulate these problems. Take help of your Teacher or any other available resource to solve these problems. We, at www.shikshaabhiyan.com, will assist you in clarifying your doubts online 24X7. Time Management: It is not easy to solve a Maths paper in the given 3 hours. You must prepare yourself by attempting mock exams for this. Time management is also important for your study during preparation, it will help you to use limited time efficiently. Presentation of answer: The cleaner, the better. Keep your paper free from cutting and overwriting, and draw clean margins to do the rough work. A clean paper also reflects an uncluttered mind. Figures and Graphs: Figures and graphs fetch you easy marks. For this, keep a ruler which has sharp and smooth side and a pencil which is well sharpened. Finish familiar questions first: Read the question paper thoroughly before you start solving the questions. First finish the questions you know and then move on to the unfamiliar questions. Revise, revise, and revise: Once you are through with writing the paper then revise it thoroughly. During the first revision, check whether you have attempted all questions or not. In the second revision check the steps and the rest. Achieving 100% marks in maths is not a herculean task, it is just a matter of correct preparation in the right direction. In short, ``Understand the basic concept and then try solving as many problems as possible`` is the success mantra to score well!